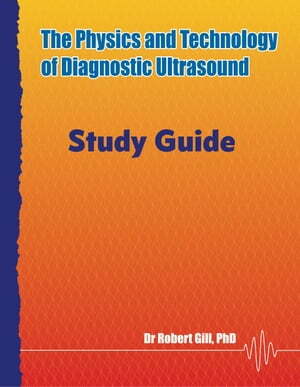 Collins Booksellers - The Physics and Technology of Diagnostic Ultrasound: Study Guide by Robert Gill, 9780987292155. Buy this book online. This Study Guide is a companion to the popular ultrasound physics textbook "The Physics and Technology of Diagnostic Ultrasound: A Practitioner's Guide". It contains over 120 short questions and provides model answers for each. It has been designed for both students and teachers. Students will find it valuable as a learning aid and as a resource to test their knowledge and understanding. Teachers, supervisors and tutors will find it a useful teaching asset and an excellent starting point for writing quiz and exam questions.